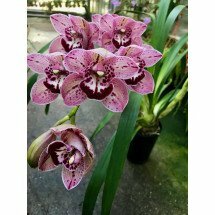 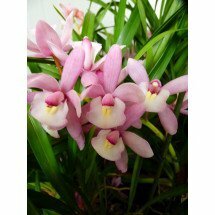 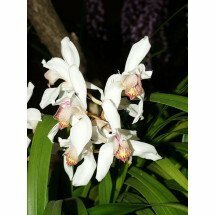 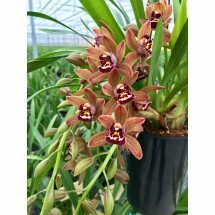 Cymbidium is a gender with around 50 species spread throughout tropical and subtropical Asia (for instance in the North of India, in China, Japan, Malaysia, the Philippines and Borneo) and in the North of Australia. 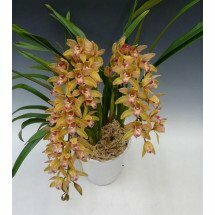 They appear in the Himalaya’s, in multiple altitudes in china, but also in the tropical areas of Southeast-Asia. 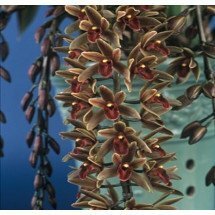 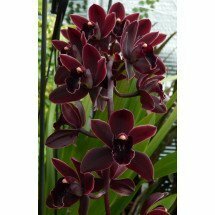 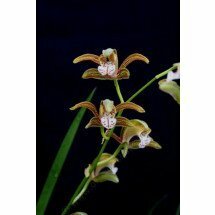 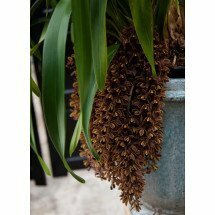 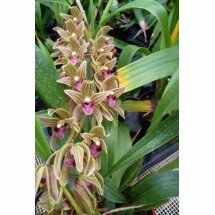 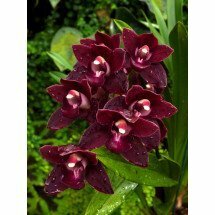 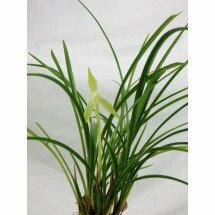 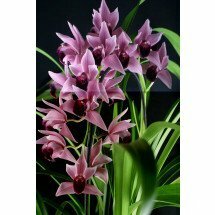 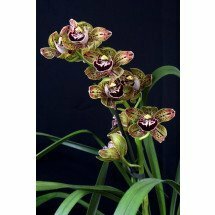 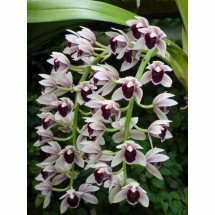 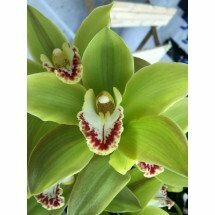 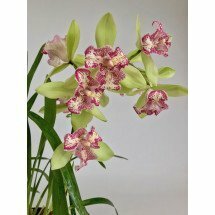 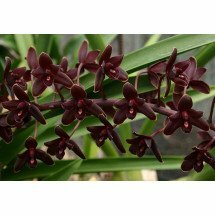 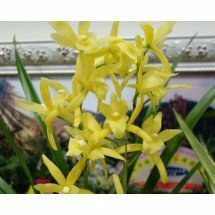 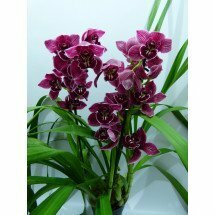 Cymbidium have a sympodial way of growth and can grow to be around 60 centimetres big. 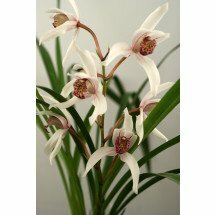 The bunch grows out of the most recent pseudobulb and can grow to be 90 centimetres long. 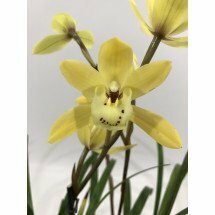 Every flower has a diameter in between the 5 and 10 centimetres. 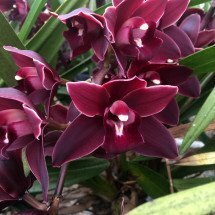 They bloom in winter and every bunch can have 15 or more flowers. 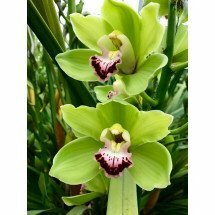 The flowers of this gender have a tremendous variety of colours, such as white, green, yellow-green, cream, yellow, brown, pink, red, orange, even black, but not blue. 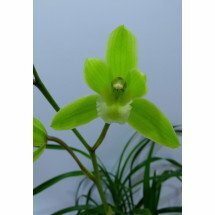 They bloom for around 10 weeks and have a waxy texture with round petals and sepals. 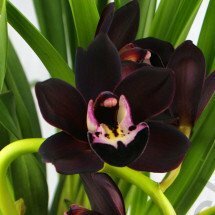 Furthermore there is a great diversity in the markings on the flowers. 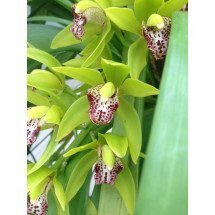 People also refer to this orchid as the Boat Orchid. 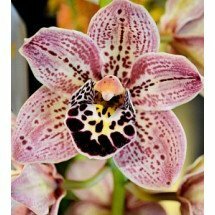 This name comes from the shape of the lip, that looks like a boat. 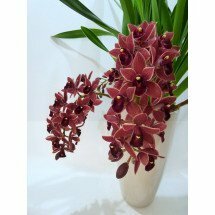 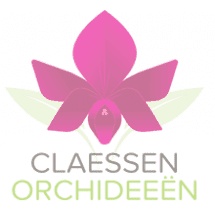 Cymbidium Cali Night "Geyserland Big"
Cymbidium Great Flower "Marie Laurencin"
Cymbidium Green Valley Emerald "Big"
Cymbidium Harriet Ishitani x Cymbidium Lady Fire "Red Angelica"
Cymbidium Hiroshima Sweet Eyes "Pink Temptation"
Cymbidium Little Black Sambo "Black Magic"